Although many people start betting on sports for fun, there is a lot of precision involved. If you are interested in becoming a professional in the field, you need to know how to choose your bets and calculate odds to determine whether they are in your favor or not. While traditional gambling will always be the number one betting-related activity, a lot of high-profile participants in the industry also dip their toes into the world of arbitrage betting every now and then. However, for a beginner, arbitrage betting can seem confusing and overall way too hard. But it’s quite the opposite once you get the hang of it. There are a lot of questions about arbitrage betting that need to be answered in order for someone who just found out about it to make sense of what it takes. This article aims to do just that, and by the end of it you too can be an arbitrage expert. Let’s begin. The first important thing that you need to know about arbitrage betting is what it is. In order to understand how something works, you need to define it. Only after that can you truly move on to more in-depth info. Also known as sure bets or miracle bets to people in the industry, arbitrage bets imply betting on all the possible outcomes of a sporting event in order to achieve a guaranteed profit. This means that you’ve got all your bases covered no matter what the outcome is. The process of arbitrage betting is also referred to as ‘arbing’, while the bets themselves are abbreviated as ‘arbs’. Even though technically arbing is still traditional gambling, the activity in itself is pretty far from it. Gambling is defined by the element of surprise, among others. 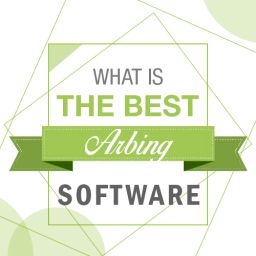 With arbing, there is no such thing. You know that you will win no matter what the results are, which makes it more of a mathematical process than anything else. Arbitrage opportunities usually happen when a number of bookmakers have different opinions on the outcome of a sporting event. Another scenario that creates this situation is that of odd and stake calculation errors. Whatever the case may be, arbs have a short lifespan on the market because the numbers are either corrected or modified. So now we’ve established what arbing is. Up to this point, arbitrage betting sounds like a one trick pony. But there are in fact multiple ways to arb in the industry, and you need to be familiar with them if you want to be successful. The most popular form or arbing is back to lay betting. This involves the same sporting event on two separate betting sites. If the back price is higher on one site than the lay price on a betting exchange, then it’s safe to back and lay the event and wait for profits to come in. No matter the stakes or the outcome, you will be a winner by applying the back to lay arbing technique. Let’s say that due to unforeseen circumstances, the lay price for a soccer team on one betting exchange is 1.98. While most bookmakers conformed to this and dropped theirs, one still accepts bets for the original 2.20 price. This is a perfect situation for a back to lay bet to succeed. This is similar to shop arbitrage, or sharbing for short, which consists of creating an arbitrage opportunity for yourself by using coupons from a betting shop and a betting exchange. Due to the fact that online prices shift all the time in order to render arbitrage null. 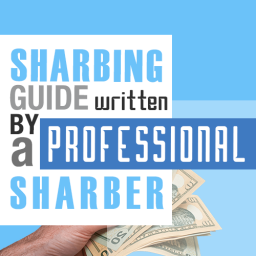 Betting shops on the other hand don’t update prices so fast on the coupons, which means that sharbing is possible. Dutching on the other hand is the classic form of arbing. It involves betting on all the possible outcomes of an event, or narrowing it down to the most likely top three or five and betting on that. The name ‘dutching’ comes from a real-life New York City mobster named Dutch Schultz, who was famous in the 1930s for devising a failsafe system of betting on multiple horses. Dutch Schultz devised this system with the help of his accountant, and it involves a rather complex mathematical formula. The formula can be applied using good old-fashioned pen and paper, but there are also calculators for this sort of thing available. Let’s say that you have two horses. One has odds of 11 to 1, while the other has 3 to 1. In order to calculate the perfect arb, you need to find out what the implied probabilities from the odds are. Then you need to work out the stakes. This formula takes time to learn and perfect, so a calculator can help you a lot. While Dutch Schultz has his clever accountant on his side to help him do the math behind the bets, calculating the perfect arb isn’t easy in layman’s terms. The formulas for each type of arb are different and must be accurate in minute details. And as if the odds and stakes weren’t enough trouble as is, you also have to take commission into account. If it sounds like a brain ache, that’s because it is. This can be especially handy if you’re a beginning at arbing and don’t want to make any mistakes. But with a reliable back to lay bet calculator, as well as one for dutching , you can calculate your perfect bets and foresee the profit you will get by just punching in the numbers. After a few hefty rounds of betting back to lay and maybe even dutching for a bit, you will know your way around this stuff. But for the time being, stick to calculators and you’re set. And remember, not even Schultz was good at it from the word go. In order to find arbitrage opportunities, you will have to pay close attention to odds and apply what you have learned so far. The best fields for arbing are football matches and horse racing events, so check those out on a daily basis to discover your perfect bet. 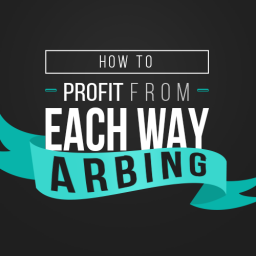 There are a lot of arbs daily, you just have to know how to single them out and seize them. 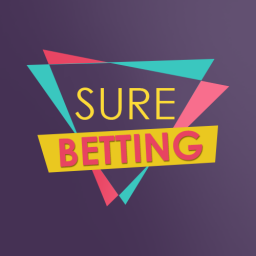 The somewhat old school way of finding surebets is to use an odds comparison website side-by-side with your favorite betting exchange. Look at the overall decimals on the odds for any sport (preferably football or horse races, as mentioned before) and see which event has higher back odds than the lay odds on the exchange. This will take time and you need to be very dedicated to finding the perfect arb in order to pull through. However, it’s also good practice and you will get so used to doing it. You’ll spot good arb opportunities much faster in the future. If you want to take the short route towards arbing, you can invest in software that is designed to compare the odds for you and show you the best results. Our Matched Betting software finds both back & lay arbs and dutching bets from one platform. You can think of this as an investment for your future. By picking good arbs, you will be making a lot of profit soon enough and you’ll get the most bang for your buck for sure. At the end of the day, finding arbitrage bets is a matter of how you choose to proceed. You can go the old school way, which is very time-consuming, or the newer option of arbitrage betting software which you have to pay for. When it comes to describing to arbitrage betting wins, they all have one universal trait that is true for all of them: they’re sure to happen. Other than this, win amount fluctuates according to several factors that influence most bets in the industry. First of all, if you bet a small amount, your profit will also be smaller, while betting bigger brings your more money. Even though the win will be at the same percentage, it’s all about what you are willing to invest into an arb. Of course, odds are very important as well. Even though you are sure to win something, it depends on what you are betting on. But at the end of the day, you are still winning. After all, this is why arbs are also known as surebets. Do Bookies like Arbitrage Betting? Although arbitrage betting is a legal activity, most bookies disapprove of it. The reason behind this is simple enough: they aren’t making money off of it. There are a few bookies out there who openly accept having people place arbitrage bets. The truth is that most of them frown upon this practice, although you are allowed to do it in theory. Why? Because your wins through arbing are costing them money. You’d want to stop someone from ‘stealing’ your money too if you could. This is why the majority of bookies do all that they can to stop people from arbing. But how will they know that you are arbing? Well, if you keep on winning time after time, your bookie will surely get suspicious and start tracking your activity. In this way, he can discover whether or not you are arbing in no time at all. And most bookies restrict or close the account of potential arbers, so beware. Although they claim they’d never do this because arbing is legal, most of them do, and they do it without prior warning too. Therefore, if you want to keep your account up and running, do as previously mentioned and try regular betting as well. It’s not only more challenging, but it will also keep you from looking like a professional better. Bookmakers won’t snoop around and you won’t lose your right to perform this activity. 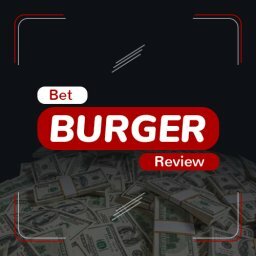 There are some bookies who don’t close your account without honoring your bets, but still disapprove of arbitrage betting and want to put an end to it. These bookies will alter the stakes of bets, which will result in a faulty arb. You can actually lose money like this, because your arb will turn into nothing more than a simple bet where you can either lose or win. Due to this situation, a new form of arbing has developed in Britain. Its legal status is questionable, but it works. Several prolific arbers employ low-profile betters to bet on their behalf and get a small percentage of the win in return. These people are key figures in the betting world that don’t want to risk their accounts being banned, but they still want to make money. However, such a system is dubious to stay the least, and it acts in a manner that is very similar to crime rings. The simple and civil way to avoid being caught and marked as an arbitrage better is to not exaggerate with the amount of bets that you place in a short time frame. While placing arbitrage bets is a sure way to win some many with little risks, the risks are still there, especially when you start doing it at a higher level. For one, making and managing multiple accounts means that you will be giving a lot of private data away. On top of that, there is always the human error factor. Even a seasoned arber are still human at the end of the day, which means that he or she can make mistakes. Due to the excitement and fast-paced nature of placing arbs, you can miscalculate odds or enforce some other type of erroneous judgment in a similar way to people working in trading stocks. You also need to consider that a perfect arb has an average lifespan of 15 minutes. Constant betting modifies odds and stakes, so if you’re not quick enough or attentive enough, your arb will vanish. Once the arbitrage vanished, the risk-free bet turns into a regular gamble. But high street bookmakers publish odds days in advance and rarely change them. So if you’re looking for arbs with a longer lifespan, you can try there instead. However, they aren’t as exciting. And even those last for just a few hours, so the difference isn’t that considerable when you draw the line and do the maths. One final risk of arbing that needs to be discussed so that you will be prepared for whatever will happen is the risk of bet cancellation. Bookmakers are allowed to cancel bets at their discretion if they consider that a palpable error has been made. These situations are also known as ‘palps’. If the odds they have set were miscalculated and the payout is too high, bookmakers have the liberty to cancel the bet. If you’ve already placed your arb on those odds because it seemed like a certain juicy win, having the bet cancelled will cost you money. And because these situations are entirely up to the bookmakers, they might cancel bets that have arb potential just to mess with people like you that are fishing for sure wins. Arbitrage Betting – Worth It or Not? The final question that we need to answer is: is arbitrage betting worth it or not? Unfortunately, there is no black and white answer here. On one hand, it can be said that arbing is completely worth it because you always win. On the other hand, always going for sure bets can even get your account closed or suspended by bookmakers. At the end of the day, the decision here is up to you. If you are willing to put in the effort to become an astute arber, and if you remember to not rely solely on it, then give it a go. But if you think that arbing is not your cup of tea, you’re probably better off doing something else with your time. Both are very profitable but overall I would recommend sticking with Matched Betting. Your accounts last a lot longer and overall it’s much more profitable. Bookmakers are very sensitive to arbitrage bets, in many cases I’ve heard of people having their accounts banned after 2 bets. With Matched Betting, you will keep your bookmaker accounts open a lot longer and therefore make a lot more profit. I’ve got some accounts that I’ve hammered for over 10 years. You are lucky to last a few weeks with arbs. Matched Betting doesn’t just rely on bookmakers, you also have casino, bingo and spread betting companies you can hit. Spreading your bets out more keeps the profits rolling in. 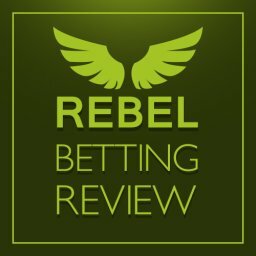 If you’re interested in learning more about Matched Betting, click here.